While the rest of the stock market is faltering, restaurant stocks have managed to stay impressively resilient. The S&P 500 dropped meaningfully in October, and currently sits more than 5% off its trailing three-month high. But, the Invesco Dynamic Food & Beverage ETF (OTCMKTS:PBJ) currently sits right around trailing three-month highs, while many individual restaurant stocks are making fresh new all time highs. The recent resilience in restaurant stocks can be attributed to improving trends across the sector. While growth remains challenged by still declining traffic trends, price hikes have more than offset weak guest counts, and the sector has rattled off five consecutive months of positive comparable sales growth. As such, while other stocks have faltered, restaurant stocks have remained strong. With that in mind, here’s a list of ten hot restaurant stocks that all investors should have their eye on. Last Quarter’s Numbers: Fast casual giant McDonald’s (NYSE:MCD) has reported very good numbers recently. Last quarter, global comparable sales rose 4.2%, while lapping 5.6% growth in the year ago quarter. Comparable sales growth was positive across all geographies and has been positive for 13 consecutive quarters. Traffic is also up year-to-date, but restaurant margins fell last quarter. Current Valuation: MCD stock currently trades at an above average and above industry valuation. The forward multiple is 24, versus restaurant average of 22 and five-year average MCD forward multiple of under 20. Meanwhile, the yield is at 2.2%, versus a five-year average yield of near 3%. Growth Outlook: McDonald’s has revamped its menu to be healthier while still maintaining low prices and unprecedented convenience, and this combination has only expanded the company’s leadership position in the fast casual space. 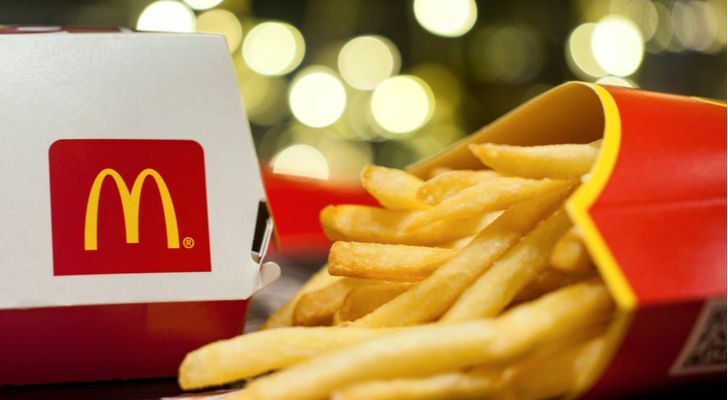 MCD stock is priced for this expanded leadership, but so long as the comp numbers remain strong (and they should for the foreseeable future), MCD stock will perform relatively well. 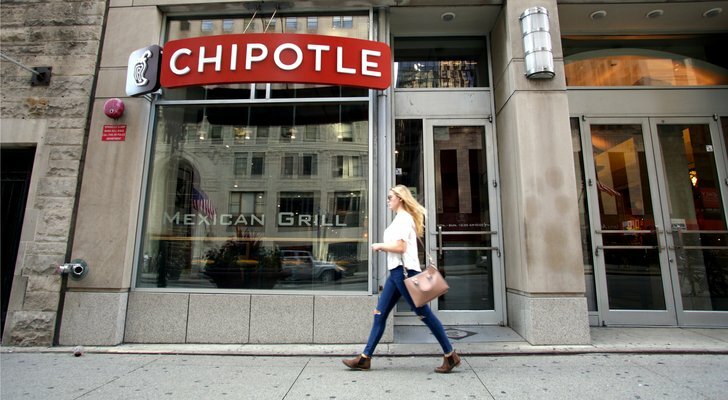 Last Quarter’s Numbers: The rebound story at Chipotle (NYSE:CMG) has been confirmed by improving numbers. Last quarter, comparable sales rose 4.4%, continuing a multi-quarter uptrend in comparable sales growth. Digital sales rose 48.3%. Restaurant margins expanded at a healthy rate. But traffic was still down year-over-year. Current Valuation: Given robust unit growth potential and presently depressed margins, CMG stock trades at more than 55x forward earnings, marking one of the biggest multiples in the whole restaurant sector. Growth Outlook: The growth story at Chipotle is improving thanks to menu innovations and delivery build out. But, traffic growth is still negative, and that tells me that this rebound will continue to progress at a snail’s pace. The current valuation prices in more than a snail’s pace recovery, and as such, CMG stock seems like more risk than reward as it approaches $500. Last Quarter’s Numbers: The numbers at Yum Brands (NYSE:YUM) remain favorable, albeit less favorable than before. 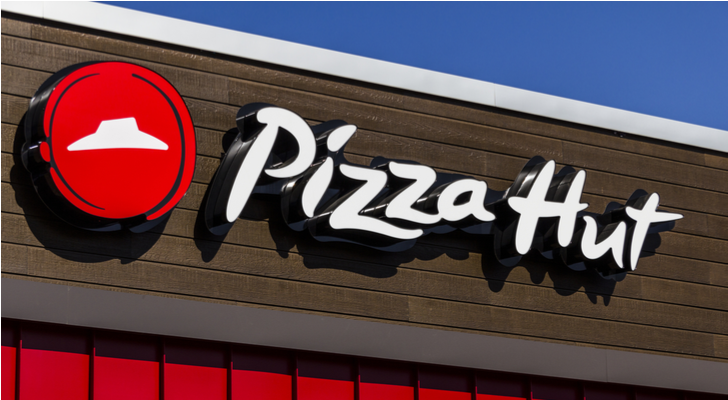 Global comparable sales rose 2% last quarter, with Taco Bell up 5%, KFC up 3%, and Pizza Hut down 1%. Net new unit growth came in at 4%. Meanwhile, re-franchising initiatives drove healthy operating margin expansion. Current Valuation: Much like MCD stock, YUM stock trades at an above average valuation. The current forward multiple is 24, and the current dividend yield is 1.5%. Those compare unfavorably to a five-year average forward multiple of 21 and five-year average yield of 2%. The 24x forward multiple is also above the restaurant average forward multiple of 22. Growth Outlook: Taco Bell is a big growth driver for this company, and KFC and Pizza Hut operations are steadily improving. As such, the growth outlook is favorable. But, the valuation isn’t terribly attractive, and while it may not lead to a selloff, the best move here is to way for the valuation to get back to normal levels before buying into the rally, especially amid recent market volatility. Last Quarter’s Numbers: Comparable sales at Wendy’s (NYSE:WEN) broke a 22 consecutive quarter streak of positive comparable sales growth last quarter when they dipped 0.2% year-over-year. But, international growth remained robust at over 13%, white EBITDA margins expanded. On the flip side, company-owned restaurant margins compressed 20 basis points. Current Valuation: The valuation on WEN stock is rather normal from a historical perspective. Normally, this stock trades around 28x forward earnings with a 2% yield. Today, the stock trades at 30x forward earnings with a near 2% yield. Growth Outlook: The best thing Wendy’s had going for it was its 22 consecutive quarter streak of positive comps. That streak is broken now, and there are concerns about growth going forward. As such, if you want exposure to WEN stock, I think there are better entry points ahead. Last Quarter’s Numbers: Hyper-growth burger chain Habit (NASDAQ:HABT) continued on its robust growth trajectory last quarter. Comparable sales rose 3.6%, with average ticket up big and traffic down moderately. Meanwhile, revenues rose nearly 24%, driven by positive comps and big unit growth. Operating margins dipped year-over-year, but adjusted EBITDA was up. Current Valuation: Owing to its massive unit growth potential, HABT stock is one of the more expensive restaurant stocks in the market with a forward multiple in excess of 100. Growth Outlook: The growth trajectory for Habit is seemingly improving, but underlying traffic declines threaten the longevity of these improvements. Meanwhile, margins aren’t ramping higher in a way that is powering robust profit growth, and without robust profit growth, a triple-digit forward multiple for HABT stock is tough to swallow. Last Quarter’s Numbers: Chicken wing chain Wingstop (NASDAQ:WING) is the envy of every restaurant in terms of growth. 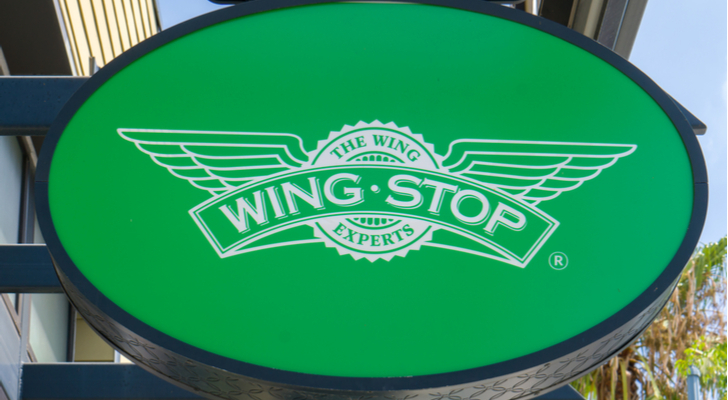 Comparable sales at Wingstop rose a whopping 6.3% last quarter. Overall sales rose 15%, powered by positive comps and a 12% increase in restaurant count. EBITDA margin expanded, and adjusted EBITDA rose 23% year-over-year. Current Valuation: Because of its huge growth and small base, WING stock is also one of the more expensive restaurant stocks in the market with a forward multiple around 80. Growth Outlook: Wingstop has big time growth prospects in the long run, as the restaurant base has potential to expand by leaps and bounds, and the company’s delivery-centric business model is supported by favorable secular adoption tailwinds. But, the valuation on WING stock is overly optimistic considering this is just another chicken wing chain. Last Quarter’s Numbers: Comparable sales at America’s favorite diner, Denny’s (NASDAQ:DENN), rose 1% last quarter, comprised of a 2.1% rise at company-owned restaurants and 0.8% rise at franchised restaurants. Margins and operating profits dropped, however, due to higher wage and delivery expenses. Current Valuation: DENN stock trades around 23x forward earnings, which is relatively standard for a restaurant stock and also very normal for this stock in particular. Growth Outlook: The revenue growth trajectory at Denny’s is favorable and improving due to delivery expansion, but that revenue tailwind is a margin headwind. Fortunately, huge re-franchising initiatives should help offset that headwind over the next several quarters, and power healthy earnings growth. Healthy earnings growth on an average valuation should lead to solid performance from DENN stock. Last Quarter’s Numbers: Fast casual chain El Pollo Loco (NASDAQ:LOCO) reported what was, in many regards, its best quarter in recent memory in early November. Comparable sales rose 2.6%, the best mark since the second quarter of 2017. Comps are up 4.3% on a two year basis, also a multi-quarter best. Meanwhile, adjusted revenue rose nearly 6%, led by a healthy uptick in average check. On the flip-side, traffic and margins were down year-over-year. Current Valuation: The current valuation on LOCO stock is normal relative to the sector at ~23X forward earnings. But, on a price-to-sales basis, LOCO stock trades at a 1.5 trailing multiple, which is about as big as that multiple has been over the past three years. 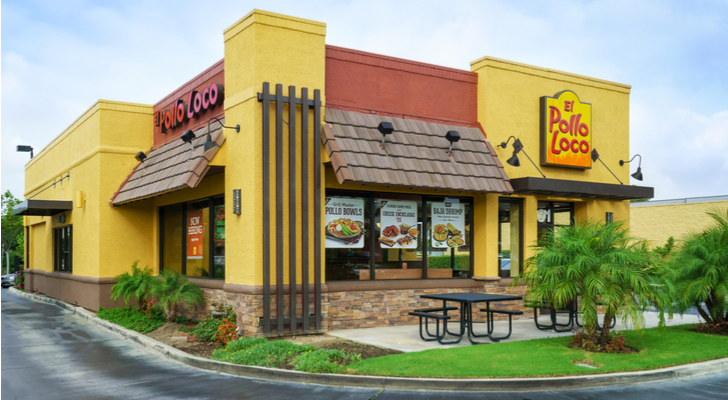 Growth Outlook: It certainly feels like El Pollo Loco’s golden days are in the rear view mirror, and with traffic dropping, margins under pressure, and the stock trading at a sizable valuation, further upside in LOCO stock will be tough to come by. 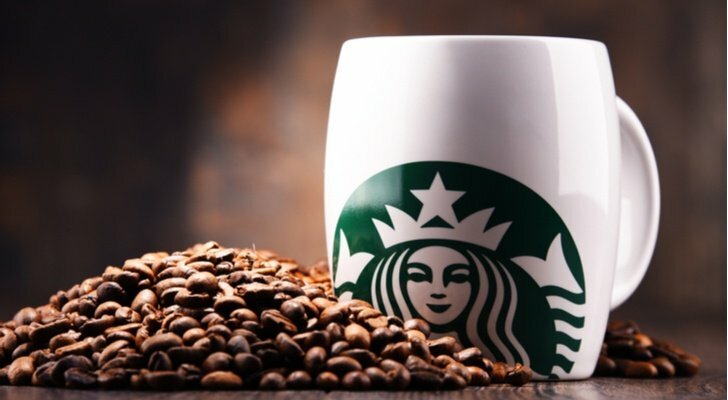 Last Quarter’s Numbers: Things at Starbucks (NASDAQ:SBUX) are finally starting to improve. Last quarter, Starbucks reported global comparable sales growth of 3%, the best mark in five quarters. But, all the upside in that comp is driven by price increases (+4%), while traffic is still down on a global basis (-1%). Current Valuation: The forward multiple on SBUX stock currently sits at 26, which is narrowly above the stock’s trailing five year average forward multiple of 25, and markedly higher than the sector’s 22 forward multiple. Growth Outlook: Things are starting to turn around at Starbucks, but mild growth of sub-5% comps is the new standard due to higher competition. Previously, when Starbucks was reporting 5% and up comparable sales growth, SBUX stock traded around 25x forward earnings. The stock trades above that level today, but growth is below average. Thus, share price gains from here will be tough to come by. Last Quarter’s Numbers: The huge turnaround in Dine Brands (NYSE:DIN) took another leg higher after the company’s most recent quarterly results. 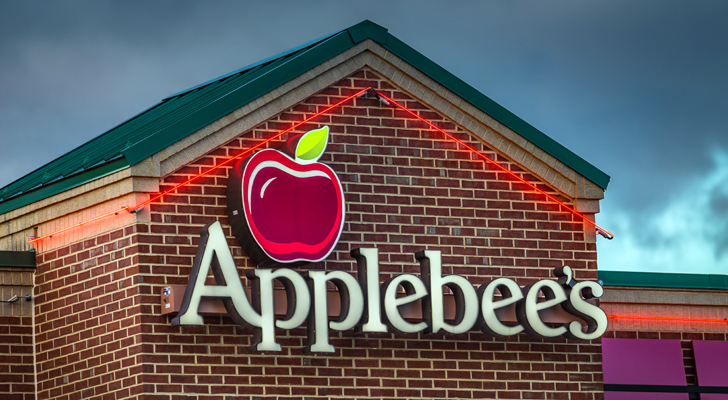 Applebee’s comparable sales rose 7.7%, a 14-year high. IHOP reported comparable sales growth of 1.2%. Meanwhile, margins expanded, and earnings grew year-over-year. Current Valuation: DIN stock trades at just 18x forward earnings. That is below the sector average forward multiple of 22, and also quite cheap for a restaurant stock posting positive comparable sales growth. Growth Outlook: This was once a left-for-dead restaurant stock that nobody on Wall Street wanted to touch. Things have reversed course sharply since then. With sales growth trends improving, margins rebounding, and the valuation still cheap, DIN stock looks like it still has more firepower left in this rally. As of this writing, Luke Lango was long MCD and DIN. Article printed from InvestorPlace Media, https://investorplace.com/2018/11/10-hot-restaurant-stocks-to-watch/.